Need a gift? Give the gift of guided trip for Trophy Bass on America's #1 Big Bass Lake! This year, give the ultimate gift – a guided trophy bass trip on Falcon Lake in Zapata, Texas. 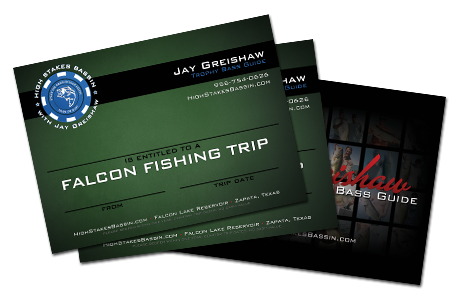 Once purchased, each Gift Card can be given as a gift representing a guided trip with bass guide Jay Greishaw.